Today we headed to Little Rock for Harper's twice a year appointment with her audiologist. Scott went with us today and I was so glad for the help! We don't schedule appointments at ACH - they send you a letter with your day/time and that's that. So we missed a day of school but I'm pretty sure we will catch up! It's a long day. We left at 8 a.m. and got back home right before 8 p.m. The kids were so good. They are troopers. We drive to Little Rock even though we could probably find an audiologist up here where we live because Dr. Jan is just so wonderful. We have been seeing her for the last 6 years and she is just so kind and knows Harper so well by now that we just trust her. The picture on the left was when Harper had her ABR (hearing test they put you to sleep for) when she was 2 and on the right was today at almost age 8! The great news is Harper's hearing has not changed so we are so thankful. We don't know what the future holds but for now Harper is doing amazing. She is doing well in school and doesn't really have any issues. Her new teacher has been great to work with her and her FM system helps so much! A year or two ago - several of you suggested this book to me. I ordered it for Harper and she LOVED it. 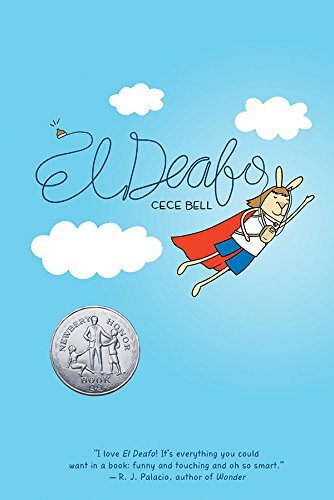 It's about a girl (or really a rabbit) who wears hearing aids and just all about her life with hearing loss. The librarian at our school gave it to Harper's teacher last week and she gave it to Harper to read also. Dr. Jan and I were discussing the book today and I wanted to recommend it if you have a child with hearing loss or if they maybe have a friend who wears hearing aids - it would help them to understand. While Harper was in her appointment today - Scott and I kept Hollis and Will Holden busy. Or maybe I should say WH kept us busy. There is this really open atrium by the NICU and it's air conditioned so we let Will just run back and forth for a few hours. It opens up to a playground outside but it was basically like the surface of the sun out there so we stayed inside instead. Will was really good today but SO active and it was one of those days that we said "he will be asleep the minute we get in the car" but I think today jazzed him because he didn't sleep one minute today and talked all the way home. It was a good day! And now our four day weekend is over and I need to go pack lunches!